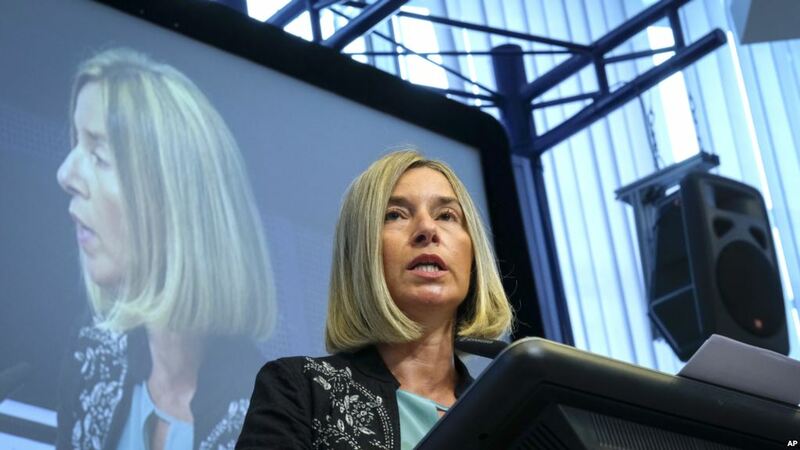 The head of EU foreign policy, Federica Mogherini declared on Monday that whatever agreement Kosovo and Serbia manage to reach, including a possible border correction, this will not be based on partition based on ethnic lines. Mogherini made these comments following the meeting of the heads of EU diplomacy, who also discussed on the developments in Western Balkans, including the talks taking place between Kosovo and Serbia, which have currently come to a halt. Mrs. Mogherini said that dialogue is encountering difficulties, stressing that the 100% tax hike that the government of Kosovo has imposed on goods coming from Serbia and Bosnia, a measure which triggered Belgrade’s reaction by conditioning the continuation of talks with the lifting of the tax. Once again, the head of the EU diplomacy called on Pristina to lift the tariffs and said that she was confident that a “legally inclusive” agreement is still possible between the two countries. “Let me be clear. There will not be partitions based on ethnic lines. Whatever agreement the sides will reach in the future, the agreement will not result in the creation of homogeneous states. Both countries will continue to be multi-ethnic”, she said, underlining that it’s up to the sides to decide on a final solution. During the summer, Kosovo’s president Hashim Thaci and Serbia’s president, Aleksandar Vucic sought international support concerning an agreement which could affect borders between the two countries. President Thaci suggested the idea for “border correction”, which, according to him, implied the union of Presevo Valley, a region with an Albanian majority in the south of Serbia, with Kosovo. President Vuci suggested the idea of “introducing a border between Serbs and Albanians”, which implies the division of Kosovo in a way that its northern part with a Serb majority to go to Serbia.